Naim and their authorised service departments will service and repair units to 100% Naim specification, as all spares are carefully selected at Naim. We do not modify units by fitting inferior specification or so called equivalent parts. 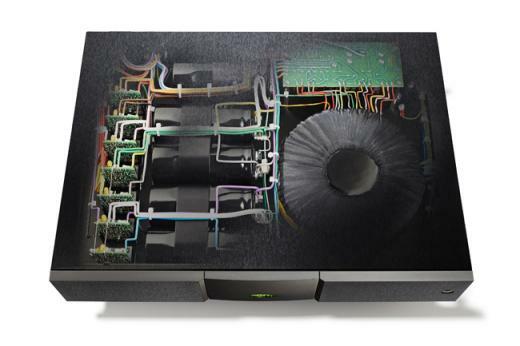 We have a special offer on Naim servicing for all items received during the month of August. I will have a Linn Karik and a Kairn ( phono ) for sale soon, they are just being fully serviced. 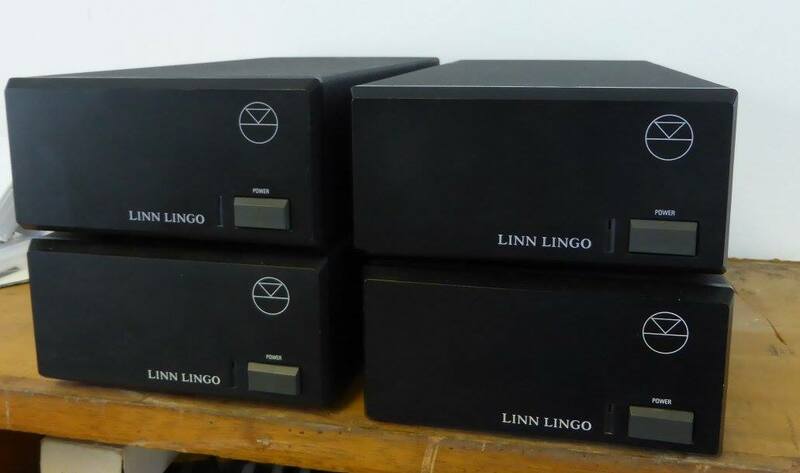 Linn LP-12, arm and Lingo all now sold.. Anyone looking for a very nice black Linn LP-12 turntable without arm ? I will also soon have a mint Naim ARO tone arm for sale..
More Lingo servicing feedback, yes it really makes that much difference.. Both items now sold... thank you for the interest..
Just giving you some feedback on the service you carried out on my old Lingo power supply last week. To say I was impressed with the improvement to my system is an understatement! Everything is back where it should be, the bass is deeper and more realistic, the drums actually have skin on them and the vocals sound fantastic. The system is now back to it’s former glory, more musical with the soundstage more three dimensional and you can follow every instrument. It’s as big an improvement as when you serviced my Naim amps several years ago. For anybody with an old Lingo they would have to have their heads examined if they didn’t have this service carried out and all for £80 - £140. That applies to anybody with elderly Naim amps obviously at a different cost. My system by the way is a Linn LP12 Ekos arm and Akiva cartridge, Naim 250, 32.5, Hi-Cap amps (Chrome Bumpers) and Dynavector 2/6 Loudspeakers. Due to the very popular birthday promotion we have decided that the reduced service prices will now remain in place for the forseeable future. August 2016 will mean we have been in business for 30 years. To celebrate this occasion we are offering for a limited time only genuine reductions on the servicing of certain Naim products. These include the Nac-52 pre-amplifier, Supercap power supply and the Nap 135 and 250 power amplifiers. As we are Naim authorised we source all our components directly from Naim and all units are kept to 100% correct specification with no modifications unless factory approved. The move is nearly complete. I will have the soldering iron plugged in and ready by tuesday 16th February. There is now more work space and better test facilities, plus a lot more storage space. It may take a few days for the landline number to port over so if possible please use the mobile number for now. The move to the new premises starts next week so please don't send any parcels that will arrive in Sheffield after this friday 5th February until further notice. We should be open by saturday 13th February. If you need to contact me next week then the mobile number 07710043100 will be the best to reach me on or send an e-mail. Late January / early February this year we will be moving to a new location on the outskirts of Sheffield at Woodseats. We are moving to new premises with larger and better facilities and a customer car park. If you are planning on sending any equipment in for servicing or repairs after 25th January pleaase make sure you contact me first. I have had quite a few enquiries recently about accepting Naim service work from outside the UK. If you are within the E.U. then there are no problems, outside the E.U. and this includes Switzerland and Norway then I am sorry but the paperwork and time involved in getting items in and out of customs clearance makes this prohibitive. If you are outside the E.U. and purchase used items in the UK you can have your seller send the items to me for servicing and I can then ship worldwide. However be aware that full value will be declared and you may have to pay import duties upon receipt. The only items we cannot accept from outside the UK or ship are cd players due to their fragile nature. I had my 82 serviced a couple of years ago - this after having nothing done on it for some 20 years. Can honestly say it made a significant improvement and was well worth the money. I suggest you speak to an expert like Darran at Class A; he will answer your question about servicing and POTS8 upgrade. I asked about having the latter done and he said the difference was minimal and my money could be spent better elsewhere! An extremely honest and helpful guy who has a reputation for excellent service. When Darren serviced my 32.5 a few years ago (it's first ever service) there was a significant step forward in SQ. Well worth it. Age dependent, of course. Darren can advise, and will only replace/repair what is required. Extremely quick, expert and friendly service. I will have a fully serviced Linn Klout power amplifier available for sale soon, with warranty. Virgin media have changed their e-mail service, supposedly for the better. In reality I am not receiving all my e-mails. If you have not heard back from me after a couple of days please re-send your enquiry. It has just been brought to my my attention that a guy in USA is trying to sell a Nait 1 supposedly serviced by me last year. It is an obvious scam as all the details are incorrect. If you are looking at buying an item I have previously serviced then please contact me first with the serial and invoice numbers so I can check the validity before an expensive mistake could be made. How good can old Naim equipment sound ? VERY according to this satisfied customer..
yesterday and, after warming up, I listened to several records. The work you have done was absolutely outstanding. I heard things and background orchestral sounds more clearly than I recall. Listening to Elgar's Cello Concerto played by DuPre I heard a member of the audience cough - quietly but quite clearly. I am now looking for a SNAPS power supply for the pre-amp. When I find one you will restore it if it has been modified and service it. However, your work was amazingly good - well worth the money. A quote from the Naim forum from a customer happy with his freshly serviced Naim Nap-135's.. I have 2 pairs of 135s ready for the "floaty" snaxo, whenever that will appear. one pair was last serviced 2006 and even though it sounded very good driving SL2s, i wondered what it would be like serviced -- since its failry close to the 10year threshold. Last week, i stopped "wondering" and sent it to Class A, collected last Tuesday -- back serviced today -- delivered this morning! When they were delivered, the cases were almost freezing to the touch so I left them on the floor in my office to "thaw" a bit. This evening i connected them up, let them playing radio for a couple of hours. Since around 1900hrs, i have been playing music -- the serviced 135's now actually sound a even better than before the service -- i guess that much is obvious -- but what i wasnt prepared for is how much better -- they are a LOT better!! I have been through NAP200, NAP250(both passive and active) NAP300 (both passive and active) and now on 135s (currently passivle, but will be active when the floaty snaxo sees light of day). I have used you for Naim service a few times in the past and each time the outcome has been the same -- highly improved performance from the serviced equipment and I am grateful for that -- and long may it continue. It seems to be turntable month here, never seen so many decks in for servicing. The usual Linn and Rega, but lots of Dual and Technics 1210's coming into the workshop. Having been a vinyl collector for 40 years I am very happy to see decks making a come back. fully serviced to 100% Naim specification with warranties. 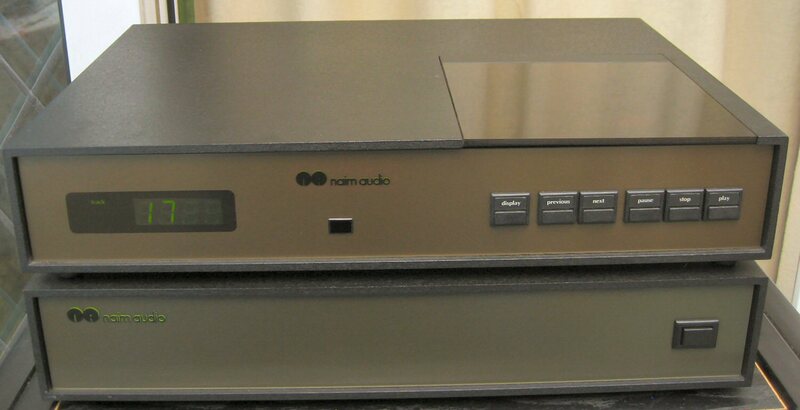 Should I have my Naim amplifiers serviced ? You will not find a nicer example, 100% correct condition. Over the years I have obtained 100's of original service manuals for audio and hi-fi equipment, these are now taking up too much space so it is time to move them on. I will soon be listing them on Ebay. These are for Technics, Kenwood, Denon, Sony, Pioneer etc. and include amplifiers, tuners, cassette decks, cd players. and turntables. If there are any of use to you please contact me. These are original manufacturers service manuals, not copies. We now have stock of the Linn Lingo 1 mains inlet without the filter. Moorgate Acoustics will be hosting an open day with Naim Audio and B&W on Saturday the 16th of November. They would love you to join them for an afternoon of music and fun. I will also be there to offer any advice on servicing or repairs to Naim equipment. "Join us to explore some of the finest audio products from the UK. Naim Audio and B&W will be joining us and demonstrating some of their most exciting products. We will also be featuring Streaming and explaining how it works, how to use it and how it can transform your listening. We'll be playing some fantastic music and giving you the chance to hear components and systems from a range of prices and performances. It will be a relaxed affair with the emphasis on music. There will be the chance to enjoy high definition recordings from such artists as The Rolling Stones, The Beatles, The Who, Dusty Springfield and a great many others. Hear the music as it was recorded for the very first time." Check out the downloads section, I will be adding user manuals mainly for Linn amd Naim products. If there is anything you need please contact me and I will add them to the list. The info from Naim is all the upgrades will have to go back to Salisbury as no dealers will be allowed to carry out the work themselves. Also only the current range of products will be accepted so unfortunately Olive or Chrome bumper equipment are not upgradeable. If interested you have to register your interest via the Naim website or your local dealer, they will then give you a total cost, including a reduced cost for servicing if required and give you a time slot for the when the work can be carried out. Jobs are done in order of registration. The other option which many people seem to be considering is, depending on age, to trade the units in for brand new DR fitted products, some dealers are offering very good trade in values. 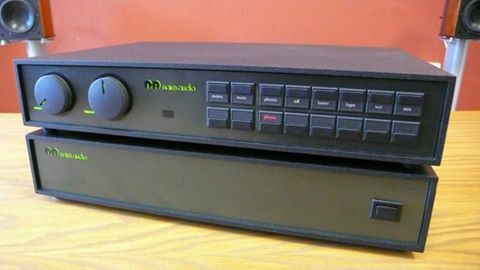 I will attending the Naim DR power supplies open day at Cymbiosis in Leicester on July 19th, if anyone has any questions about Linn or Naim servicing I will be happy to advise. Cymbiosis will be holding an open day on Thursday July 19th when they will be demonstrating the DR supplies against the previous models to give you the opportunity to hear the difference that this update makes to the performance. Demonstrations will be available from 12.00pm until 6.30pm, so please feel free to drop in at your convenience. Mark Raggett from Naim Audio will be in attendance to answer any questions you may have about this new update. They look forward to seeing you. Following a two year development project Naim has announced it has updated its power supplies to feature a new discrete regulator that greatly improves performance. 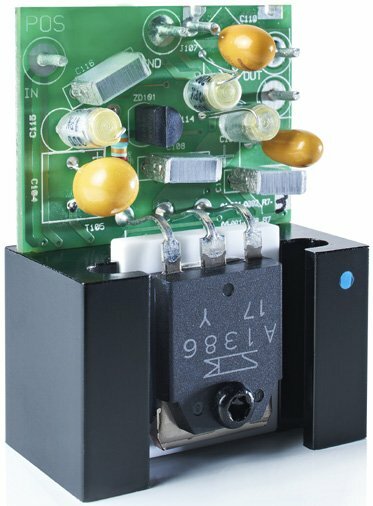 The new Naim Discrete Regulator (DR) will be fitted to the HiCap, XPS, SuperCap, 552 PS and 555 PS power supplies as of May 14th 2012. The addition of outboard power supplies offers an established upgrade path for many Naim products. By improving the supplies themselves, removing the electromagnetic field of the transformer and interference generated by the rectifier diodes, and by eliminating transformer vibration from the product case, Naim power supplies offer improved sound quality. Voltage regulators are widely deployed within Naim power supplies to ensure that audio and digital circuits operate with a stable, low noise supply voltage, thereby maximising their performance. 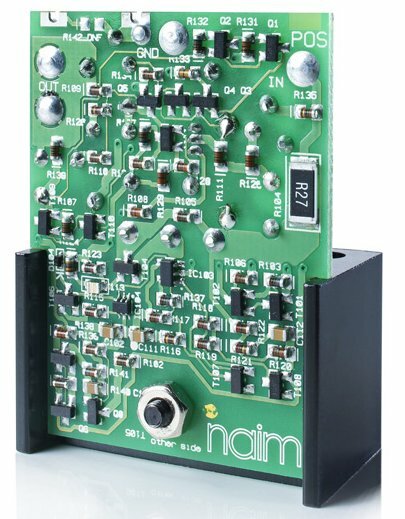 Naim’s new discrete regulator betters industry standard monolithic voltage regulators and, even more importantly, has had its design and component selection refined in the listening room to deliver maximised sound quality from Naim’s audio circuits. As well as incorporating the newly developed DR in these five power supplies, Naim has reviewed and optimised every aspect of their design. Transformer mounting, wire gauge, wire routing, mechanical decoupling, internal layout and reservoir capacitors have all been scrutinised to ensure that the DR’s benefits are fully realised. The result of the inclusion of the new DR regulators and the updates to design is a quite significant increase in performance which helps the listener to really connect with the artist and music.